Made by MacRobertsons Pty Ltd in Melbourne, Victoria, Australia, 1964-1965. 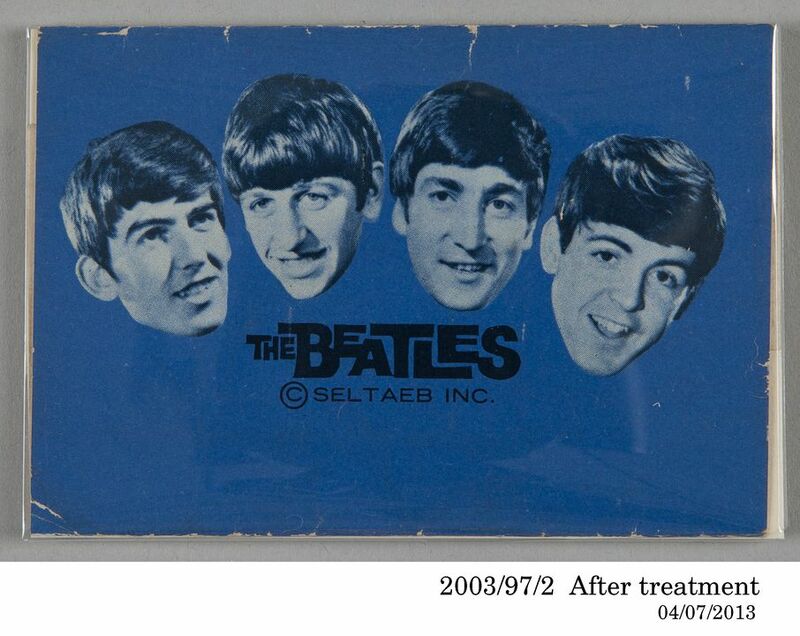 Sheet of sealed blue wrapping paper with black and white images of the faces of the four Beatles and the text in black: 'The Beatles. Seltaeb Inc'. Reverse side has text in red and white: 'MacRobertson's Superfine Milk Chocolate. The Beatles. Seltaeb Inc'. Packaging made by MacRobertson Pty Ltd, Melbourne, Victoria, Australia, 1964-1965. The designer of the packaging is unknown. Used by Jennie Small when she was a teenage fan of the Beatles in Sydney. Purchased by Jennie Small in 1964 or 1965.